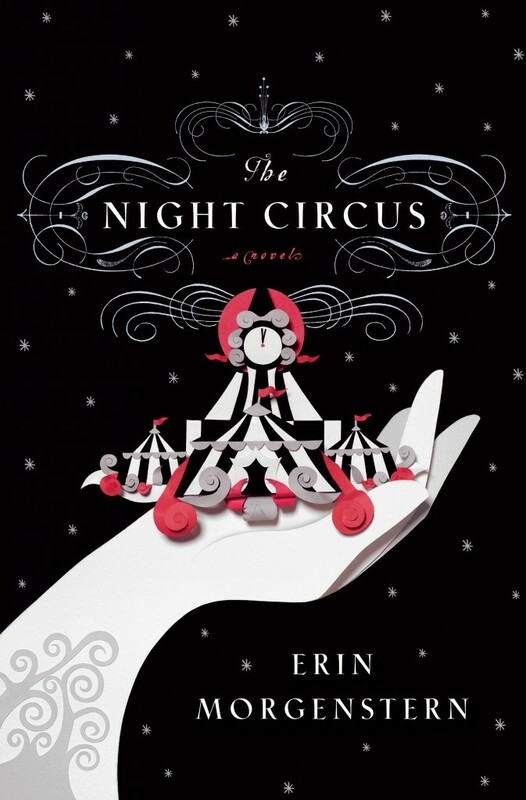 There are very few novels that I have become thoroughly enchanted with, and The Night Circus by Erin Morgenstern is one of them. The Night Circus is full of lush, rich description and storytelling. It takes you away into a wonderful, new world, complex in its makings that you’re willing to spend forever trying to understand it all. The story follows Celia and Marco, young magicians who are bound by an agreement made by their guardians when they were children. The agreement is that when they are older, they are to compete in a challenge of who’s the best magician. This challenge is not a fight; they don’t directly battle each other until one hurts or kills the other. Rather they outdo each other by making new and magical creations at their venue, which is Le Cirque des Reves. Celia and Marco don’t know all the details behind the challenge they find themselves in the midst of, but they realize that the outcome can greatly affect all the innocent lives involved in the circus. The story is so complex and whimsical. The story branches beyond just Celia and Marco. Each chapter takes place in a different time of the circus’ life. The story is non-linear, traveling between past, present, and future. It starts with Celia and Marco as children, being taught different methods of doing magic. Then begins their involvement with Le Cirque des Reves, where they finally meet each other. Celia joins the circus as an illusionist. Marco is the owner of the circus’ assistant. Chandresh, the owner, is the mastermind of the circus, and he brings in a talented group of individuals to help him create the circus: Mr. Barris, Mme. Padva, The Burgess Sisters, and Marco’s guardian. Together they produce the circus. On opening night, the challenge officially begins and the birth of the Murray twins comes as a bit of surprise that very night. The novel’s shifts to the present involve the teenage Murray twins and a young Bailey. Throughout the novel, Le Cirque des Reves admirer, Herr Thiessen expresses his love of the circus, and plays an integral part in it as well. There are so many characters! It’s difficult to explain each of their parts and to be honest, it is better that I don’t. The mystery keeps you reading. Just like Celia and Marco, the reader is kept in the dark about what’s actually going on, and the jumps to the future add even more to the intrigue. Why are we meeting Bailey? What role could he possibly be playing in this story? What happens to the loser of the challenge? Why did everyone involved in the circus stop aging? There are so many questions as you’re reading; I couldn’t stop until I knew all the answers. And when everything comes together and to an end, you’ve realized that you just experienced the most amazing circus on Earth… in your head. Morgenstern spends a lot of time giving us very detailed descriptions of the circus and the magic used. Most of the book is in third person, yet because it’s so detailed and imaginative, it’s impossible not to become immersed in the story and setting. What I really loved was how the author created this connection between fiction and reality. This fantasy plays out in a real life setting. Morgenstern blurs the line between the two and urges the reader to open their mind and accept the impossible. It had me thinking that I can create magnificent magical things if I truly believe in it. The last time a novel had me doing that was Harry Potter. But please, do not take that as a comparison to Harry Potter. The Night Circus may deal with magic, but it’s a totally different kind than Harry Potter. The Night Circus can be purchase at our TYF Store! Leave a comment below, and tomorrow (9/30/11 at 4pm EST) I’ll pick one person to give a free iBooks extended sample of The Night Circus to! Previous ArticleListen to Episode 18 of our TYF Podcast! Next ArticleMusic review: J. Cole's debut album "Cole World: The Sideline Story"